Offering the ultimate in design, innovation and sophistication this architecturally designed residence responds to every requirement of the discerning buyer. It is brilliantly orientated to maximise sun and natural light, with elevation to make the absolute most of the city and ocean views. Featured in numerous design publications this low maintenance executive home has a substantial floor plan of 300m² (approx) over three levels. 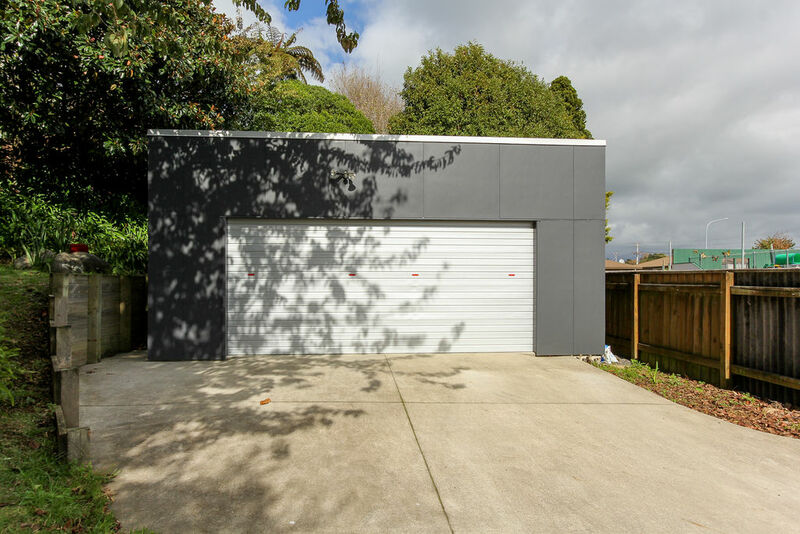 Built in 2002, it is fully insulated and has generous four car garaging. The inviting formal entrance foyer on the second level welcomes you into this beautiful home and leads through to the open plan living. Here you find the gourmet kitchen, which will more than satisfy the culinary desires of those who love to cook and entertain. 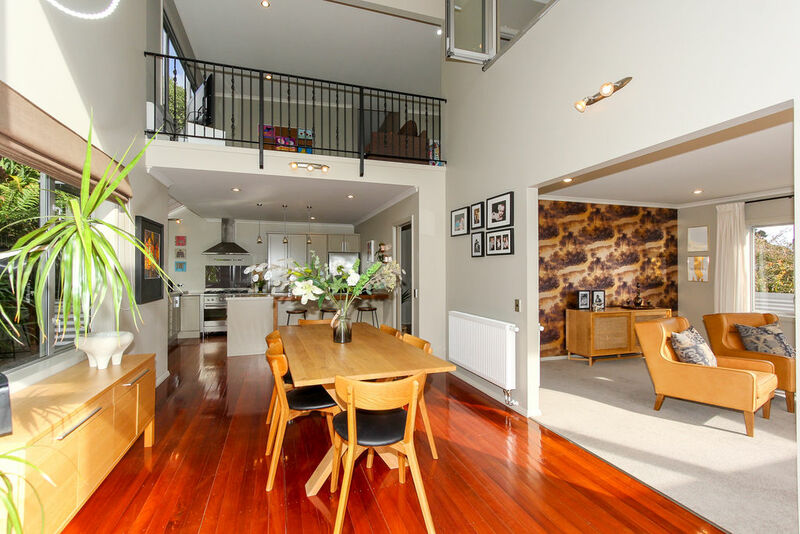 The open plan aspect of the kitchen and dining area creates a wonderful flow for entertaining both large crowds and smaller gatherings. 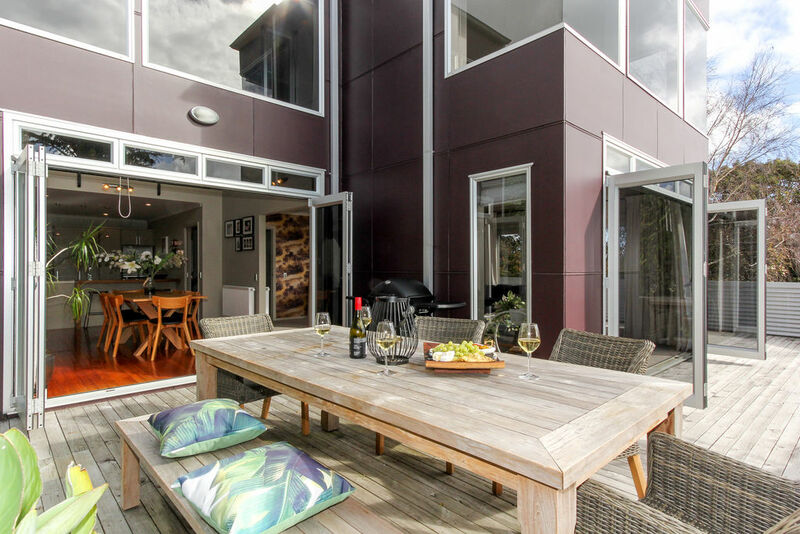 It enables easy access to the sheltered outdoor deck which is bordered with a wall of lush green easy care plantings - the perfect setting for al fresco dining. The living area enjoys the cosiness of a gas fire for ambiance. Bi-folding doors open out onto the deck for views and privacy. Also on this level is a guest powder room, separate laundry, two double bedrooms including the master with en suite and walk in robe. 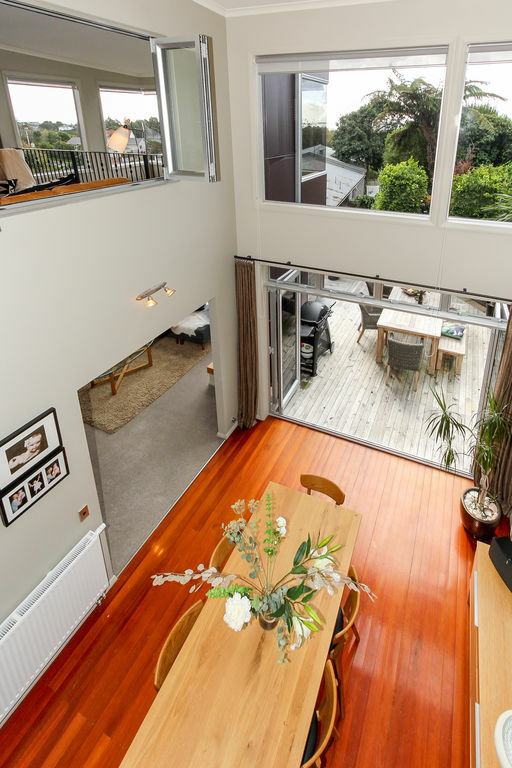 Families will appreciate the space this home enjoys with the top floor providing two mezzanine areas for additional living, office space or teenage retreat. Also on the upper story are two more double bedrooms, a family bathroom and purpose built storage room. All four bedrooms have exceptional wardrobe storage. Quality chattels and soft furnishings are provided in the décor of the home with a mix of polished timber floors, neutral floor coverings and stunning feature walls. Warmth in winter is guaranteed with a newly installed gas radiator central heating system and a gas infinity hot water unit which supplies the home with endless hot water. Set well back from the street it is positioned within close proximity to a number of schools, including zoning for Fitzroy and Highlands Intermediate. 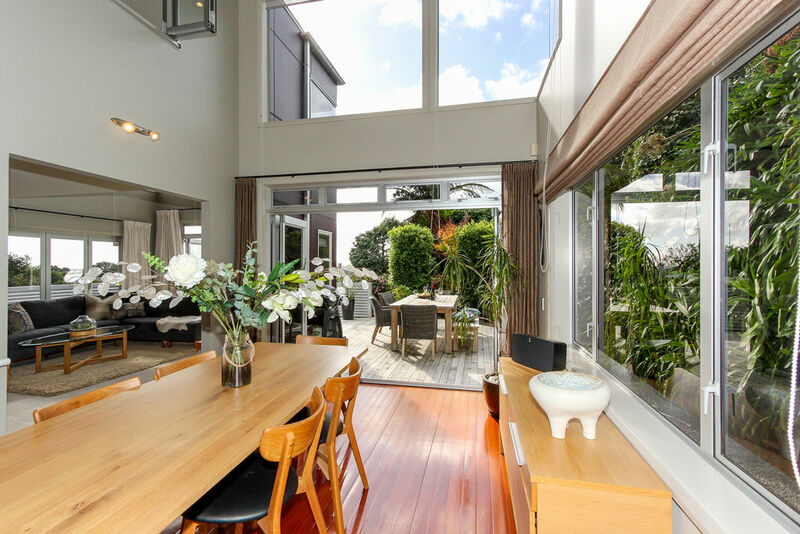 You will be within easy walking distance to the Fitzroy and Strandon shops, the coastal walkway, Fitzroy and East End beaches plus it is on the bus route for a quick commute to New Plymouth's central business district. Homes of this calibre and location don't last long. For those seeking space, peace and privacy in a prime city spot, this home is very deserving of your early inspection. Act now.